(SPOT.ph) Yes, you read that right: the Jollibee Tuna pie is back! While we know that it's only around for a limited time (why, Jollibee, WHYYY?!?! ), having it around is perfect for anyone who is fasting from meat this Lenten season. While it's here, let's all recount all the complex feelings one experiences when enjoying the Jollibee Tuna Pie. Chances are that, after reading this article, you're going to make a beeline to the nearest Jollibee branch to order one (or three!) of these excellent pastries. If you are a true fan of the Jollibee Tuna Pie, then hearing that it's back is something to get excited over. Also, you don't take it very lightly when rumors about its return spread, and they turn out to be untrue. That's not something to joke around about! 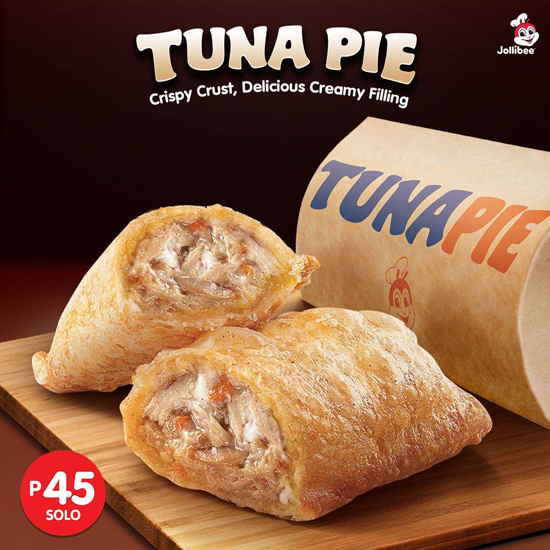 So, the rumors actually turn out to be true and a close friend has sent you the new poster for the Jollibee Tuna Pie. You get anxious, and crack little smile. You don't realize it, but your feet have actually already begun to move. Off to the nearest Jollibee you go! Naturally! It might have been just a short walk, but when you're talking about that crispy, golden, tuna pie, your mouth just starts watering. Once at Jollibee, you get to the counter, make your order, and get the pie. You sit down, open the box, and sink your teeth into a light pastry, filled with chunks of cheesy-tuna goodness. This is what happiness feels like. It just about brings a tear to your eyes as you continue chewing. That was, indeed, a good pie. You get up from your seat and make the trip home, just a little sad that you just finished your pie. Then you look down at your right and see a bag filled with Jollibee Tuna Pies for everyone at home. You can't wait to see their faces when they take their first bite. 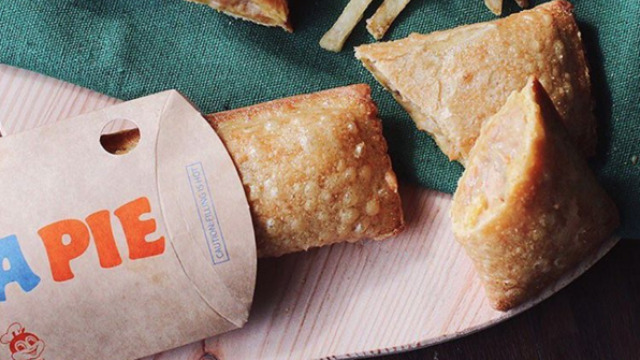 Think the Jollibee Tuna Pie is just another ordinary pastry? Bite your tongue! Better yet, go to the nearest Jollibee branch and taste it for yourself. It's really quite exquisite. The fact that it's able to give you so many #feels is a testament to that! Jollibee's Tuna Pie is avaialble Solo (P45), as a value meal with a drink (P55), as a value meal with fries and drink (P85), and in a Trio Pack (P130). For more information, visit Jollibee on Facebook.